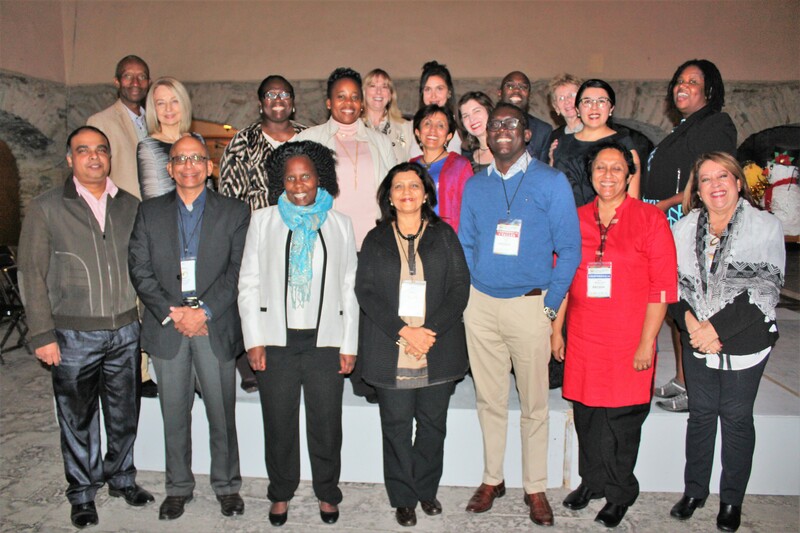 The South to South Initiative (S2SE) is spearheaded by the five Global South regional evaluation associations (also known as Voluntary Organizations for Professional Evaluation) from Africa, South Asia, Asia Pacific, the Caribbean and Latin America. S2SE aims to elevate the substantial, but underutilized, indigenous knowledge, theory and capacities of the Global South, and to reverse the asymmetries in decision-making, resources, and knowledge in the global evaluation ecosystem. 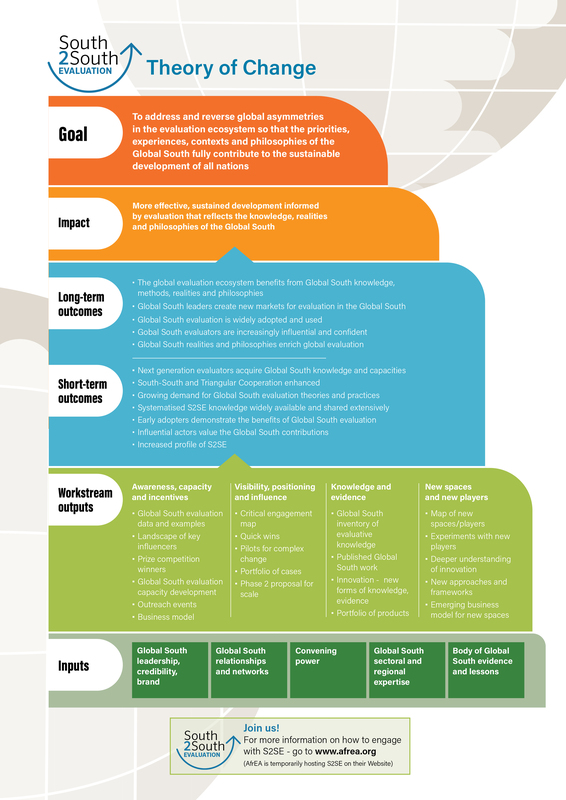 Phase 1 (2018–2021) of the S2SE Initiative will mount a global campaign to collaboratively achieve the following Objectives. 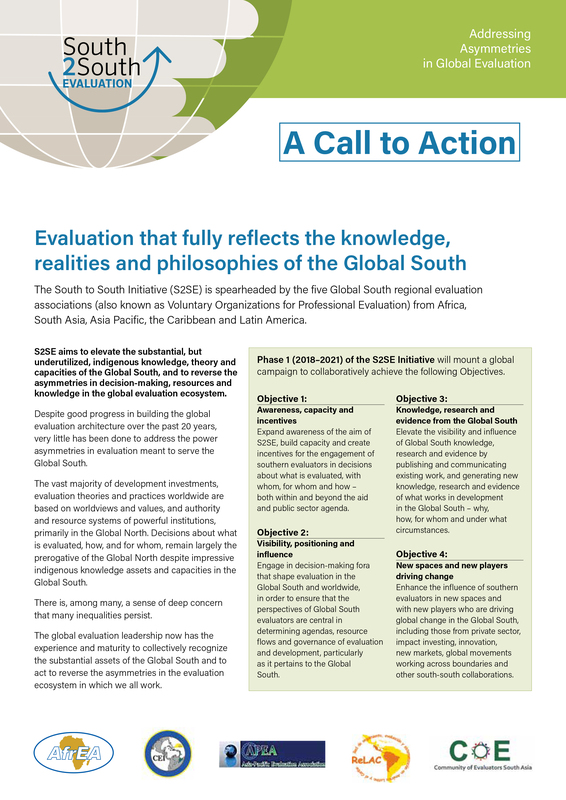 Expand awareness of the aim of S2SE, build capacity and create incentives for the engagement of southern evaluators in decisions about what is evaluated, with whom, for whom and how – both within and beyond the aid and public sector agenda. as it pertains to the Global South. Elevate the visibility and influence of Global South knowledge, research and evidence by publishing and communicating existing work, and generating new knowledge, research and evidence of what works in development in the Global South – why, how, for whom and under what circumstances. Enhance the influence of southern evaluators in new spaces and with new players who are driving global change in the Global South, including those from private sector, impact investing, innovation, new markets, global movements working across boundaries and other south-south collaborations.